Zune Thoughts: Contest Time! Win an XO Skin for Your Electronic Device! Contest Time! 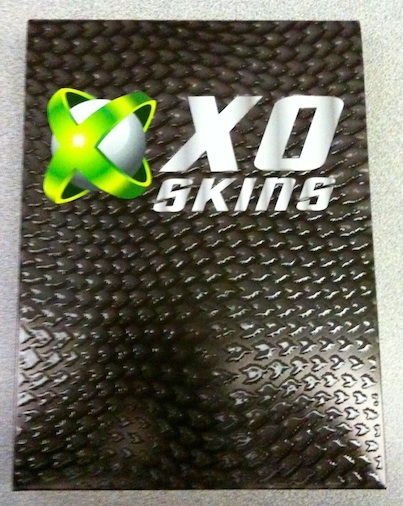 Win an XO Skin for Your Electronic Device! I just posted a review of the XO Skin for the iPhone over at Apple Thoughts, and the kind folks from XO Skin decided to give away some of their products to our lucky readers! They cover a wide variety of products, from Apple MacBooks to Dell Laptops to Palm to Blackberry to, well, you get the idea. Since they do cover a wide variety of products, we are going to make this a network-wide contest, four winners total! So, all you have to do to enter is post a message in the discussion thread telling us what type of device you would cover with an XO Skin. One skin per person (your choice of what skin you want) and the contest closes at 12pm on January 1st, 2010, which is UTC/GMT -8. This contest is world-wide. Winners will be contacted via private message in the forum and will have 72 hours to claim their prize from time of notification. Good luck! UPDATE: There is only one contest thread, so if it is your first post, it may take up to 72 hours for it to show up.